LOS ANGELES—In a heated exchange during a contentious press conference, new CNN entertainment reporter Jim Acosta pressed film directors Scott Mosier and Yarrow Cheney Thursday on an earlier statement they had made concerning their desire to modernize the Grinch for today’s audience. “Sir, you’re on record stating that—sir! Sir! Let me finish—you’re on record stating that you wanted to update the franchise for 2018 despite the fact that the past installments hold up well,” said Acosta to the two filmmakers he accused of being deliberately evasive, frequently interrupting them as they tried to change the subject by discussing what it was like to work with Benedict Cumberbatch. “Let me finish. Let me finish. Answer me: Did you or did you not try to put a new spin on the classic Christmas tale? 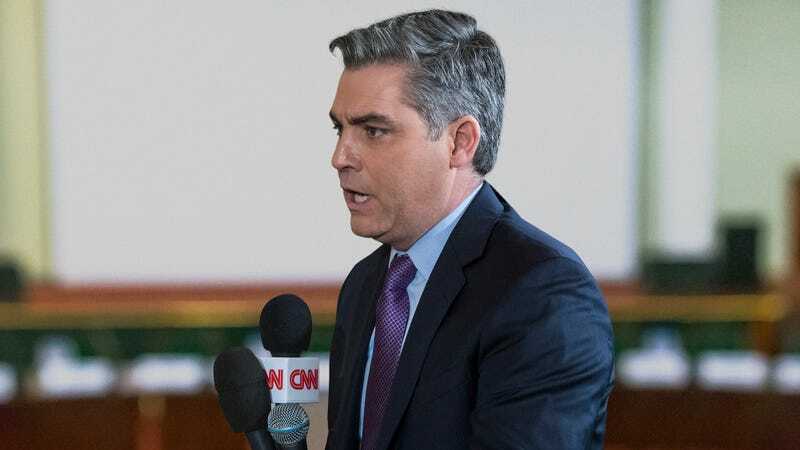 The nation needs answers.” At press time, Universal Pictures had banned Acosta from doing any press interviews for their film.